Invasive species are non-native organisms that can cause major economic and ecological harm. 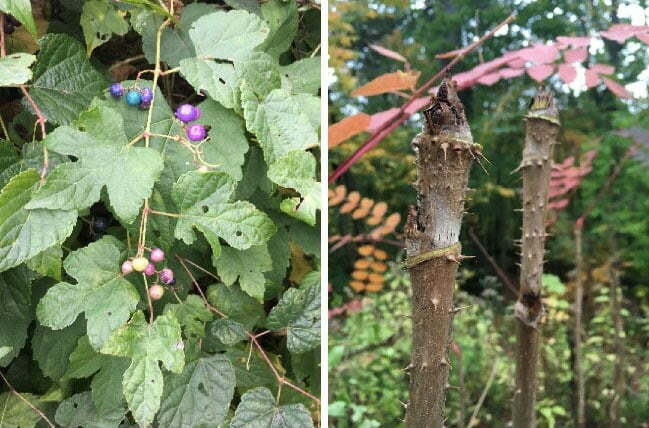 Throughout New York City invasive plants are exploiting degraded and disturbed habitats, outcompeting productive native species, and often forming monocultures. Some species such as Porcelain-berry are known as transformers. So destructive, they can tear down a forest limb by limb until there is nothing left but a moonscape of tangled vines and sterile, dry soil underneath. Help NYBG document as many of these destructive invasives as possible by 30 November so they can be managed by the appropriate authorities. 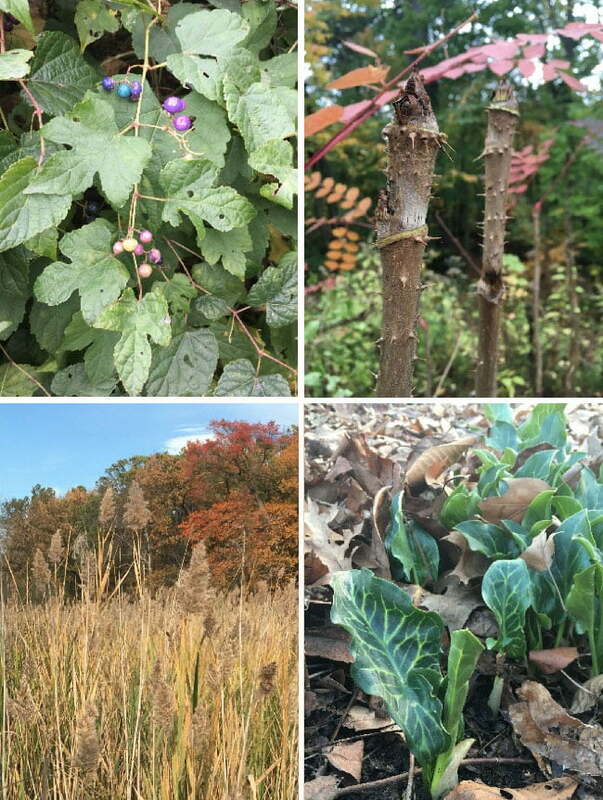 Take photos of Porcelain-berry (top left), Japanese Angelica Tree (top right), Italian Arum (bottom right), Common Reed (bottom left), and any associated animal or fungal interactions. Post your findings on the NYC EcoFlora Project at iNaturalist. Click here for an Identification Guide for the Investigating Invasives EcoQuest. • Download the iNaturalist App, or register at iNaturalist.org. • Take photos for the month’s EcoQuest Challenge. • Post your findings to the NYC EcoFlora Project on iNaturalist. • Check the NYBG EcoQuest web page for updates and new challenges!